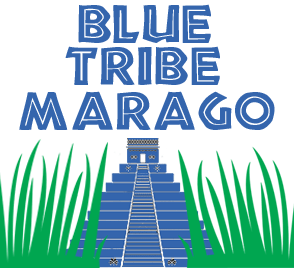 Blue Tribe Coffee is happy to now offer bags of 100% Maragogype beans! If you haven’t heard about this rare bean you should check out our Elephant Maragogype info page and find out why it’s so heavily sought after. Any word yet when you are going to get the elephant maragogype? I would love to order a bag of this fine coffee. Could you let me know when you get some in? Cheers Truth seeker! YES! We have good news regarding our Maragogype supply. Starting next week we should have some more limited supply of the Maragogype bean for sale. We’re also about to introduce our French Roast blend! Just letting you know that Maragogype is now available! For the next month or so we should be able to keep this delicious bean stocked. Are you going to have any green beans for sale? I store them in my freezer and roast them myself as needed. We are currently exploring offering green beans in our store. Thanks for raising the idea. I’ve started on my second 3 bag order and this coffee is great!! I use it in my Krueger coffee maker. I savor every cup !! Anyone who supports Malloy will receive my support. A win win !!!! Blue Tribe Coffee is GREAT stuff! I knew it had to be good if Mike and Cathy talked about it. I made my first order, gave 2 of the 3 bags away, and waiting for stock to be replenished so that I can do it again. Great choice and you won’t be disappointed! From one truthseeker to others, this is really fine coffee. Hesitate not, my friends. You will not be disappointed. Unfortunately because of a disease called Leaf Rust our Maragogype supply is now being reserved exclusively for our Blue Tribe Blends. We hope that we can find a stash out there somewhere and if we do we will let everyone know! Good news! Next week we will once again be offering our sought-after Marago coffee.